If your pet has a medical emergency during regular office hours please call us 489-5121 so we know you are on the way, then bring your pet directly in to the office. Interactive Map : Google / Mapquest / Yahoo! 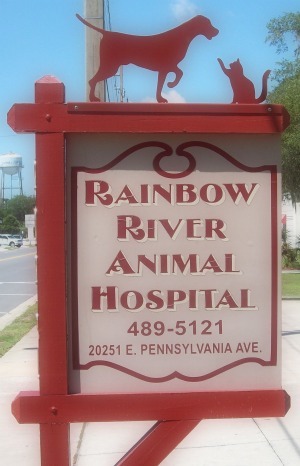 PETS is a collaborative effort between Rainbow River Animal Hospital, other local veterinarians and UF to bring high quality after hours care for your pets to the Ocala area.